Those of us who have a pulse also have risks … risks of bad things happening at anytime, anyplace. Illness, loss, impairment, or accidents can suddenly be a major part of our day or even our life. It’s like we have buzzards circling overhead wherever we go. When we’re young, those buzzards are high above us, rarely a problem. As we get older, however, they descend, taking a nip out of us here and a nip there, ever more frequently the more years we have under our belt. Are we doomed to be aging road kill? The first step is to lower our risks of bad things happening. We all have our special assortment of risks, which are unique to us. Whether we inherited a higher risk for heart disease, cancer or bone fractures, or whether we lived a lifestyle that raised our risks, the first thing for us to do is to find out what our particular risks are. Then we can work with our doctor, read all about the condition, and do what we need to do to make it less likely we’ll be bothered by these problems. These days, there’s a lot we can do to lower our risk of sickness or of being impaired even from diseases which, when I was in medical school, were essentially death sentences. We all need resilience. Resilience is not the same as endurance; instead, it’s a lot closer to durability. Resilience in physics is defined as the power or ability to return to the original form, position, etc., after being bent, compressed, or stretched; elasticity. In human terms, it’s the ability to recover readily from illness or adversity. Basically, resilience is the ability to take life’s curve balls, whatever they are, and to keep on truckin’; to take a physical or emotional hit without being knocked out of the game. Resilience is a necessary trait for aging successfully because the longer we live, the more likely (and more often) it is that we’ll indeed have those buzzards nipping at us, trying to slow us down or completely sideline us. When this happens we’re in great danger of beginning a process of having one problem prevent us from doing what we need to do to keep strong, healthy, and happy. Then that causes more problems, which lead to more decline. So, how do we get resilience? How can we develop aging muscles so we can either keep those buzzards away, or take their attacks without falling? Keep Moving. We all spend most of our day sitting. This raises our risks of bad things happening, and makes us less likely to recover from them if they do. We are creatures that are designed to move and require it for all systems to work as advertised. Keep Connected. Once again, this is who we are. Like herd animals, we flourish when we are regularly with others. Isolation is a killer. And when we are connected we also have that social support to overcome adversity in our lives. Despite the image of the lone and powerful action hero, we all need others to be all we can be. Have A Purpose.Without purpose we wither. We have trouble getting out of bed in the morning and wander aimlessly, often depressed and without energy. Purpose, whatever it is for each of us, gives us passion and turbo charges all our systems: body, brain, and immune system – making us super heroes. It doesn’t have to be a grand purpose, it only needs to be real for you. Shake It Up…with Attitude!Try new things. Be a beginner with as much as possible. Learning and trying new things is like Miracle-Gro® for our brains and keeps us young in body and mind. 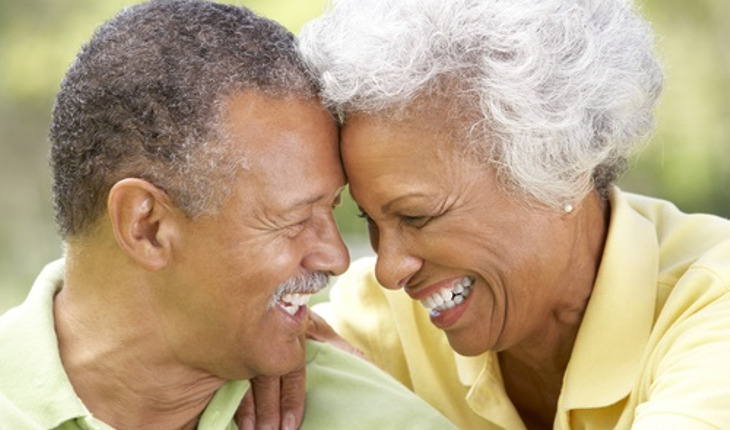 Being positive, learning and growing is the most common trait found in vibrant older adults. Eat and Drink Like An Athlete Yes, be concerned about your weight, but even more importantly, be concerned about your nutrition. We are finely tuned machines and when we eat mostly a Mediterranean-type diet (fruits, nuts, vegetables, whole grains, fish, and some meat) and stay well hydrated with water-based drinks, we have the stamina, energy, and overall ability to live out loud, grabbing at all life has to offer. So start your resilience program. You’ll stride down life’s path with more confidence and purpose.